Renishaw’s styli are some of the most accurate in the market. 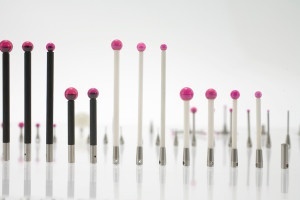 The balls on the end of the styli are bonded to the stems to ensure that there is no wiggle room – as compared to the traditional ball drilling method to fix the stem to the ball – which causes distortions, and thus measurement errors. Renishaw’s styli are a much more capable option for the CMM. These balls also perfectly spherical, are located at the optimum position on the stem, are threaded nicely and are extremely sturdy during measurement. Additionally, Revolution® CMM’s are supplied with Renishaw Grade 5 High Accuracy Styli. In terms of actual ball material, the industry standard, not to mention the optimum material, is synthetic ruby – which is 99% aluminum oxide. Ruby balls are machined into an extremely spherical form, and are exceptionally smooth. They have a high resistance to mechanical corrosion and have good strength when holding up to compression. Though the use of the ruby ball is extensive in almost every application, there are two instances where balls made from other materials are needed. 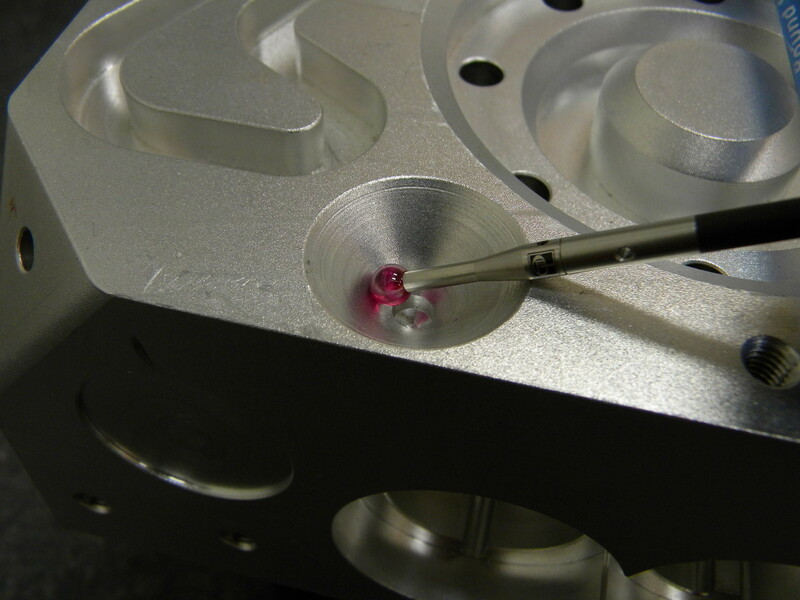 When operators are scanning heavy duty parts made of aluminum, that aluminum can build up on the surface of the ruby ball (known as adhesive wear). In this instance, the better ball to have would be a silicon nitride one. The same goes for heavy scanning applications on cast iron parts, but this time, abrasive wear happens to the ruby ball’s surface – in which zirconia balls would be a better replacement. 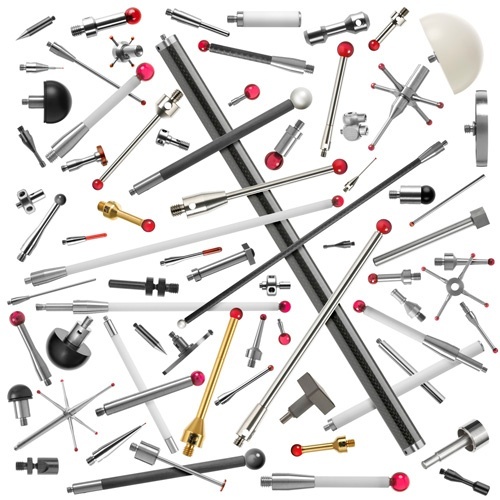 Renishaw makes many different kinds and variations of styli to suit whatever needs CMM operator may have. Options include straight styli, disk styli, and star styli, to name just a few.